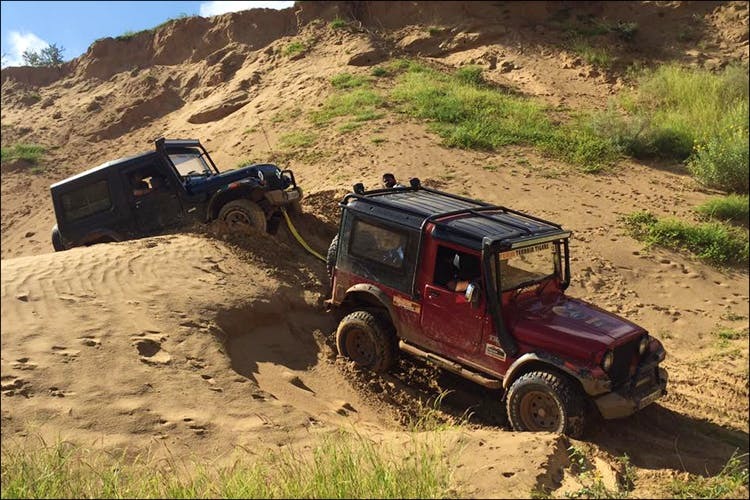 A community of off-roading aficionados from Gurgaon, Terrain Tigers organises events every weekend around Gurgaon and NCR. The Terrain Tigers encourage and promote off-roading in India. Having seen the recent boom in rally car driving and races, they hope to push the momentum among auto enthusiasts towards off-roading. The group has hundreds of members and a regularly updated Facebook group, making it easy for a new member to join seamlessly. There are regular off-roaders, newbies looking for a thrill, and general SUV owners learning about the sport for the first time. Most individuals are between 25 – 45 years old. The Facebook group is an active community of people sharing upcoming races, events, and get-togethers. Individuals share pictures of road trips and cars and ask for advice, like where to buy auto parts in the city. Their other activities and events include speed runs, dune bashing, rock climbing, snow driving, rut crawling and more, all while using 4×4 vehicles. If you’re in the mood for some action or are a car and race junkie looking for like-minded individuals, look no further than Terrain Tigers.